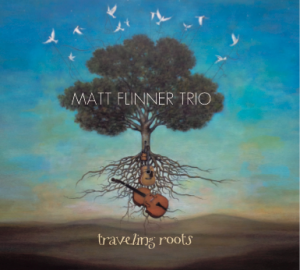 New CD: “Traveling Roots” by the Matt Flinner Trio Available Now! Order a copy of “Traveling Roots” here. The Matt Flinner Trio (Matt Flinner, mandolin; Eric Thorin, bass and Ross Martin, guitar) will be playing many shows throughout the winter and spring of 2016 as part of their CD release tour. On several selected shows, all three members of the trio will be writing tunes the day of the show for special guests! Andy Hall (Dobro) and Jake Schepps (banjo) will be joining the trio on a couple of their Colorado dates in January; Tony Trischka, Darol Anger, Jamie Masefield, Joe Walsh and Frank Vignola will be special guests on their February northeast tour. More info here.